The Caspian seabed contains some of the largest reserves of oil and natural gas in the world. 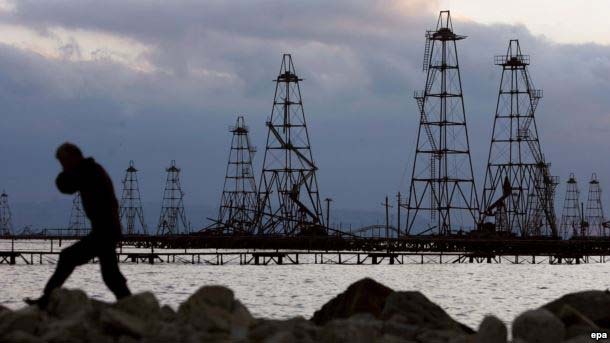 And if one adds the hydrocarbon wealth present onshore in the Caspian littoral countries -- Azerbaijan, Kazakhstan, Turkmenistan, Iran, and Russia -- the volumes are staggering. To examine the Caspian conundrum, RFE/RL assembled a Majlis, or panel, to discuss the politics of the region, who is exporting, who is not, and why this is so. Moderating the discussion was RFE/RL Media Relations Manager Muhammad Tahir. From Carlton University in Ottawa, Canada, energy expert Robert Cutler joined the discussion. From Britain, independent journalist, former deputy director of RFE/RL's Iranian service (Radio Farda) Hossein Aryan also took part. Participating from Washington was Luke Coffey, the director of the Allison Center for Foreign Policy Studies at The Heritage Foundation. And I was in New York City from where I contributed a few comments of my own. 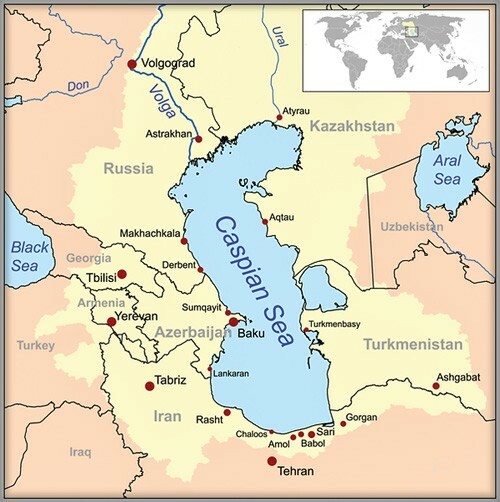 The Caspian littoral states' working group held a session in Tehran on October 23-24. It was the 47th session of the working group over the course of some 20 years and, once again, delegates left the meeting with little to show, vowing to meet again soon. "Iran is dead set on the Caspian Sea [being declared] a lake because under the terms of the law of the Sea they would only get about 13 percent of the water whereas [if it were declared a lake] they want an equitable 20 percent," he said. That is not just 20 percent of the water and seabed, it is a 20-percent share in the riches of the Caspian Sea. Coffey added that the portion of the Caspian that is in Iran's sector "is the deepest, I think it holds almost two-thirds of the volume of the water in the Caspian, so in terms of extracting oil and gas resources it's very difficult." Technically none of the countries should be developing oil and gas fields until all five states agree on the legal status of the Caspian. But, as Aryan pointed out, "68 or 70 percent of the Caspian has already been divided, between Russia, between Kazakhstan, between Azerbaijan, and also between Turkmenistan and Kazakhstan, so it only leaves something like 30%, which is [in the area of] Iran, Azerbaijan, and Turkmenistan." And there is a lot of extraction already taking place.Azerbaijan's Shah Deniz 1 project has been supplying oil to the Baku-Tbilisi-Ceyhan [BTC] pipeline, which has been carrying that oil to Turkey's Mediterranean coast for export for some 10 years now. Other littoral countries have been developing their offshore sites also. And Cutler noted, "As part of the Russian-Kazakh agreements for the division of their mutual boundaries... the two countries have cooperated and continue to cooperate on a number of joint ventures to exploit deposits that are on, or near the boundary of that so-called modified median line in the Caspian offshore." This sort of cooperation is apparently not possible for all the Caspian littoral countries. Azerbaijan and Turkmenistan have for around two decades been discussing the construction of an undersea pipeline to bring some 30 billion cubic meters of Turkmen gas annually across the Caspian where it could be loaded into pipelines heading to Turkey and on to Europe. The Trans-Caspian Pipeline (TCP) is included as part of the European Union's Southern Corridor strategy to diversify its gas import markets in order to avoid becoming overly dependent on supplies of oil and gas from Russia. Iran and Russia oppose this project, ostensibly because of environmental concerns. Cutler pointed out, "When Russia built the Blue Stream pipeline under the Black Sea to Turkey and when it talks about the Turkish Stream pipeline, nobody, and not Russia, really discusses the environmental and ecological issues which seem to come to the fore rhetorically when Caspian affairs are the subject of discussion." And Cutler added, "There's so much more experience with constructing and managing these sorts of pipelines in the last 20 years that it really shouldn't be an issue and it is not a technical issue, it is a political issue." Coffey echoed that saying, "It's in Russia's interests that this matter [the legal status of the Caspian] remains unsettled. This makes it more difficult for the Trans-Caspian Pipeline to ever be realized and it means that there's one less alternative available to Europe that bypasses Russia." Underscoring the point that it is only the TCP that raises objections, Cutler drew attention to "an oil pipeline between Kazakhstan and Azerbaijan, which they've been discussing for 10 years and which they again recently, just last month signed yet another accord for the intention to build." So far, none of the other Caspian states have raised any objections to that proposed pipeline, nor did any of them complain when Kazakhstan's offshore Kashagan field started production in September 2013 only to be quickly shut down when the undersea pipes cracked and leaked into the Caspian Sea. After replacing those pipes, Kashagan just restarted production in October. In the absence of any common agreement on the Caspian's status there is really only one thing that counts, as Aryan, who served for some 18 years in Iran's navy explained. "Russia has the largest navy, nearly 150 vessels, most of the exercises and drills conducted by Russia in the Caspian Sea are far beyond the agreements reached between the states with regard to maintaining security, fighting smugglers, search and rescue." That includes firing cruise missiles from Russian ships in the Caspian Sea at targets inside Syria earlier this year, a move that was not necessary from a military point of view, but one that sent a message to the other littoral states about who is ultimately in charge of the Caspian Sea. An audio recording of the Majlis can be heard here.